Luckily for me neither of the boys like chocolate (or the taste of chocolate things, believe me I have made them many but it’s not to their taste) so the “Why can’t I have an Easter egg” conversation hasn’t happened (I’m sure it will in the future!). I found some fun healthy ideas on-line (thank you Pinterest!) 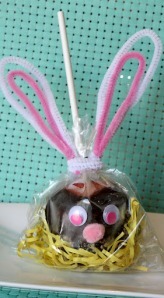 which I wanted to share with you all to show you Easter doesn’t need to be a sugar & chocolate overload and that you can even get away with a chocolate free celebration without children missing out on the fun! Caramel Chocolate Apples – Fun to involve the kids in making & decorating and can be made nut free if you leave out the Peanut topping. 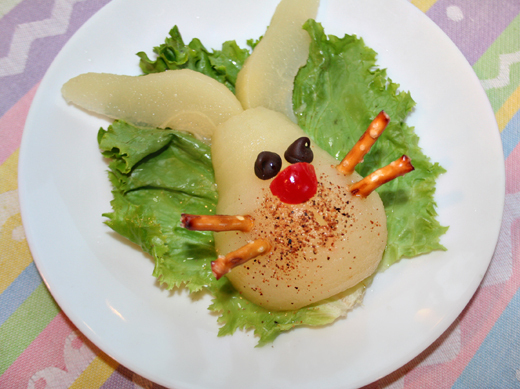 Bunny Salad – Now most kids like food displayed in a novel design and this one is pretty cute! Home-made Lindor Chocolate Hazelnut Truffles – For the die hard chocolate fans try these. You could replace the hazelnut extract for something else to makes these nut free also. Easter Egg Memory Game – This is my personal favourite, not only does it not involve food (you can use toys, novelty erasers etc) but it’s something education and they can keep for many years to come. The eggs can be found at Spotlight / Lincraft and some of the cheap dollar stores and you can fill with whatever you like. 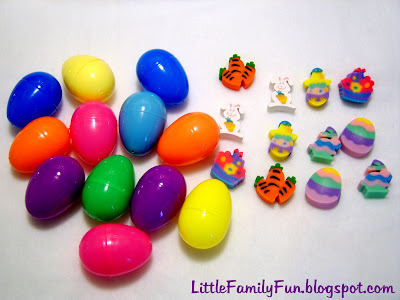 You can also use the same egg shapes in a Easter egg hunt the same way you would Easter eggs in the garden and once again the kids get something to keep at the end. 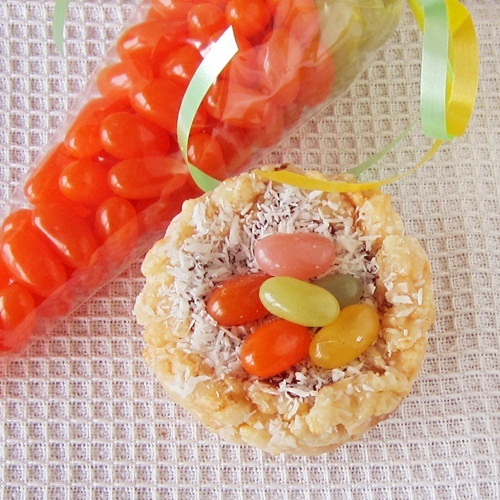 So there you have a very small sample of Healthy/Practical Easter treats that are easy to make, good for you and in most cases allergy friendly as well! Winners all round, so go on and get creative! I just did a stocktake from the various places around the house we keep our oily collection & these are all the empties I found! I love seeing empty bottles 🤗 it means we are using our oils each & everyday (& multiple times a day!!) to support ourselves physically, emotionally & mentally as our first port of call when we need the support. There truly is an oil for everything and if you’ve been on the fence April is a cracker of a month to start and save yourself 20% on enrolment kits 😊 📩 is always open for your questions & will the cooler weather setting in now is a perfect time to support the family’s immunity & save some $$. Perfect weather for a slow day at home gathering some new recipes to try. Who’s tried anything from either of these books? Any favourites?? Who’s making homemade chocolate this Easter 🐣? Can’t wait to try the recipes from this book! Have you been sitting on the fence about starting your oily collection to empower your family make safer choices with natural solutions? April is your month then!!! Not only do you get to join our team & be supported in learning how to use your oils you get the kits at 20% off 😍😱 which has NEVER happened in the Australian market before. That means more bang for your buck!! There is a kit to suit every budget (these pictures are just a few!) & I will chat with you to find the kit that’s going to help you & your family prioritise what kit is going to support you best to suit what you have going on wether it’s sleep issues, mood management, immune support with Winter around the corner or just even oils to calm the kids! Reach out to me & book in for your one on one chat & let’s get you & your family a step closer to making safer choices to supporting yourselves. 📩 me Mother’s Day is coming soon too perfect opportunity to get the gift that keeps giving 🤗 Pssst... For those of you already with oils did you know you can buy these kits with the same 20% off!!! Perfect way to save $$ & stock up on your day to day used oils! This beautiful empathetic boy tonight making a blend for his friend on his own accord ❤️ After spending the evening yesterday with some of my extended doTERRA family at a Sunny coast catch up & seeing the next generation of doTERRA kids bring raised gently & empowering them to take charge of their emotions I have a feeling our future is in good hands 🤗 You need to feel it to heal it 🙏🏻 and these beautiful oils are a perfect accompaniment to do so. What’s all the fuss about essential oils? Change – it really is much easier than you think!